From parts, prototypes, and planning, we’ve got what you need to get your game to the table. From playing cards, parts, and counters to full game boards, boxes and rules, we can build you the best prototype of your game no matter how complicated. Want something you don't see? Just ask, we do custom stuff every day! Have a great game idea that you want to take to the next step? We can help you get it there by giving you the how-to knowledge and resources to get your prototype going. 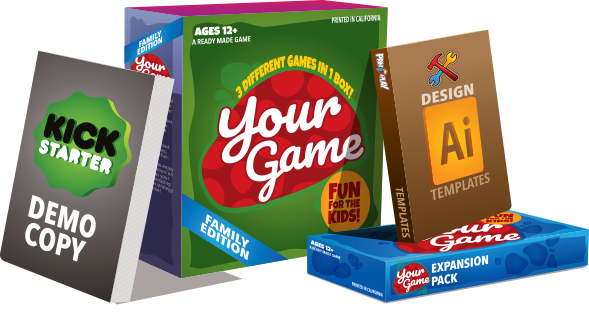 Check out our expanding line up of Print & Play games! From family to strategy to party, we have games for everyone. These are made by designers, like you! Sell Your Game in Our Store! Have a great game that’s Print & Play ready? Tell us about it.